The Scholarship of Teaching and Learning offers faculty an opportunity to investigate the pressing challenges of education within and across disciplines. 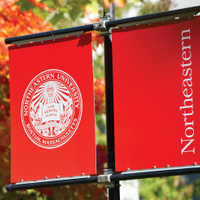 At Northeastern, CATLR sponsors a Faculty Scholars program in which faculty cohorts come together to identify issues and systematically study the root cause of teaching problems and potential strategies for improving student learning. Join us for a panel discussion with the 2017 scholars, followed by a reception and formal announcement of the 2018 scholars.